From the “potential Album of the Year” stack, singer/songwriter John Moreland from Tulsa, OK offers up 10 new long, deep looks into the sorrowful and second-guessing soul of an emotion-swept male, assembled under the title In The Throws from the Last Chance Records. “I heard truth is what songs are for. Nobody gives a damn about songs anymore…” is the line that people are quoting to both exemplify Moreland’s wordsmith skills, and to throw back in his face as fallacy as critics and fans alike line up to herald Moreland’s In The Throes songwriting effort. If John Moreland was a boxer, he’d be a bruiser, a punnisher. No fancy footwork, no bobbing and weaving here. Every single line John Moreland throws out is like a lyrical haymaker meant to score an empathic knockout punch right between the eyes. Even the most emotionally-fraught songwriters tend to give you a short breath somewhere from the morose moments, but not Moreland. He is relentless in how he unburdens his soul without any worry of exposing his vulnerabilities, or how the emotional fortitude of the listener will handle such despondency delivered with such honesty. In The Throes builds from a sparse acoustic footing, with some light country elements floating just above the surface in a classic Americana songwriter approach. This allows the listener to focus on the lyrics, and for the lyrics to come alive in the open space. At the same time, Moreland doesn’t get so enamored with his own stories to ignore the music and melody. The song “Nobody Gives A Damn About Songs Anymore” makes great use of a steel guitar hook that rises to compliment the song’s vision. One of the album’s anchors, “Break My Heart Sweetly,” features the quietest, most distant piano strokes possible, like the sound of tears tickling the cheek. Moreland also shows a great sense of timing, especially in the acoustic-only “3:59 AM” where he holds the song back at points until you feel the full weight of the moment before moving on, while also showing off his solid guitar picking skills. But the poetry embedded in In The Throes is what has this project incredibly buzzed. 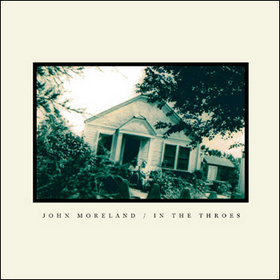 One line after another, John Moreland charms you with incredible depth, and a use of perspective that seems to relate so intimately with your personal narrative. The songs both tell a story, and deliver lines that can be taken autonomously and still have deep meaning. This is a songwriters album if there ever was one. The worry about In The Throes is that it only works in mournful grays, delivered in the slow-to-mid tempo. 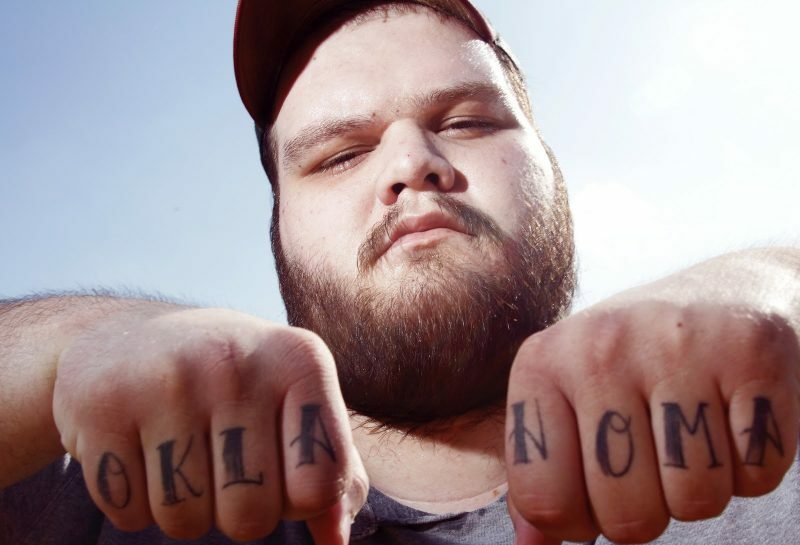 You can put together a great album of songs, and that is what John Moreland has done here. But that doesn’t mean you have a great album. To accomplish this you need some more spice and texture, or a truly original concept. This is the way you keep the ear engaged and give those songs that “nobody cares about anymore” a wider audience. The recordings and songs all work well but never reach outside Moreland’s comfort zone, never really convey a sense of hope to help reset the palette. But beyond a deeper vision for the album or something to spice it up, In The Throes still belongs in the company of the year’s best simply from the strength of its songs, even if there’s a few other projects just above it in a strong field. In times gone by, an album like this would have been pilfered by bigger names looking for top shelf songs to cut. Now it’s relegated to entertaining the ears of a privileged few. But albums of the caliber of In The Throes tend to go far in opening new doors. Does anybody give a damn about songs anymore? When taking a wide perspective of the popular music landscape, this generalization is certainly true. And with an album like In The Throes, it shows why this loss of focus on artistry by the masses is so unfortunate. Listen to In The Throes in its entirety below. My guns are up on this one as well. Make that way up as this is my favorite singer-songwriter “discovery” since hearing Chris Knight’s debut in ’98. It’s blowing me away on a daily basis. So now I’ll be buying his first two as well. You may have missed a couple of records. This is Moreland’s fifth proper album. The first two were with the Black Gold Band, then ‘Everything The Hard Way’ with the Dust Bowl Souls, ‘Earthbound Blues’, and ‘In The Throes’. He also had a very good ‘Rob’s House Demos’ collection that used to be on bandcamp along with tracks from the first Black Gold Band demo CD. Shane, Thanks for all the info. When I went over to bandcamp, I falsely assumed the other two discs under his name represented the whole ball of wax. I love intelligent and thoughtfully written lyrics. I’ll have to check this one out. Another great record by John. Hopefully this record gets him more widely recognized. So far that seems to be the case as reviews and mentions have been popping up in more and more places. I was lucky enough to discover Moreland by accident back in 2010 due to his contribution to ‘Seven Degrees of Stephen Egerton’ record by the legendary Descendents guitar player. At the time his only release was the first JM & the Black Gold Band record ‘Endless Oklahoma Sky’. That record was so good I could not believe I had never heard of him before that point. Every thing he puts out keeps getting better. I find comparing from john’s previous work, that in the throes goes WAY outside his comfort zone of being in a “rock” band.. I feel like this is 2013’s “heartbreaker”. This is a guy who has laid it all out there for all the world to see his pain. Truly great songwriter. Wasn’t talking about Moreland’s comfort zone in the context of his career, but in the context of this album in particular. The range that “In The Throes” spans is a little narrow in my opinion. This isn’t terrible by any respect, but I felt it was worth noting, though I didn’t feel like it rose to a level of concern that I could give the album anything less than a top rating. Nonetheless I understand your point and it is a fair one. It is a difficult balance to know if to put the blinders on when reviewing an album and not consider any previous works or the works of peers, or to consider it in a greater context. In this case, I chose the former. Just feel like this is a guy pouring out his heart. Hopefully people are paying attention. This is some damn fine music. I came across him through couchbycouchwest actually after I heard his name years ago through another oklahoma songwriter, audra mae. Anyways, really digging this record and it’s my first listening experience with him, now having to go back to his prior recordings… It’s pretty drastic in the difference of his previous work. I can’t wait to pick this up and listen to it. Country music is almost all about songwriting. Ernest Hemingway said the all the writer as to do is write one true sentence and that the writer should make it the truest sentence that the her or she can. At another time, he said that all there is to writing is to type and bleed. Hearing the words, set to music, of a musician’s actual experiences that I can relate to me resonates much more than witty lyrics and other trite silliness written by a professional songwriter. Sorry I’m late to the party. I’ll preface my comments by saying I love this album so much, and it is my album of the year so far. “Southeastern” is a close second. I have had this album since the day it was released. When I first heard it–i liked it and listened to it several times. I put it away for awhile…. took it out today and it ‘spoke’ to me. It’s not likely to leave my CD player for a long time…. That same was true of Everything the Hard Way–which is now one of my “go to” discs. Thanks John!